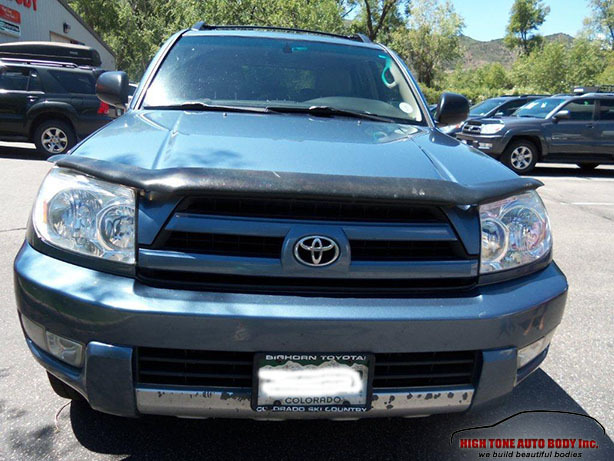 You have probably seen many vehicles where the headlamps are faded, the lens cover seems scratched, hazy or even burned and if you get behind the wheel of that car at night, you will have problems seeing because the headlamps aren’t putting out as much light as when they were new. 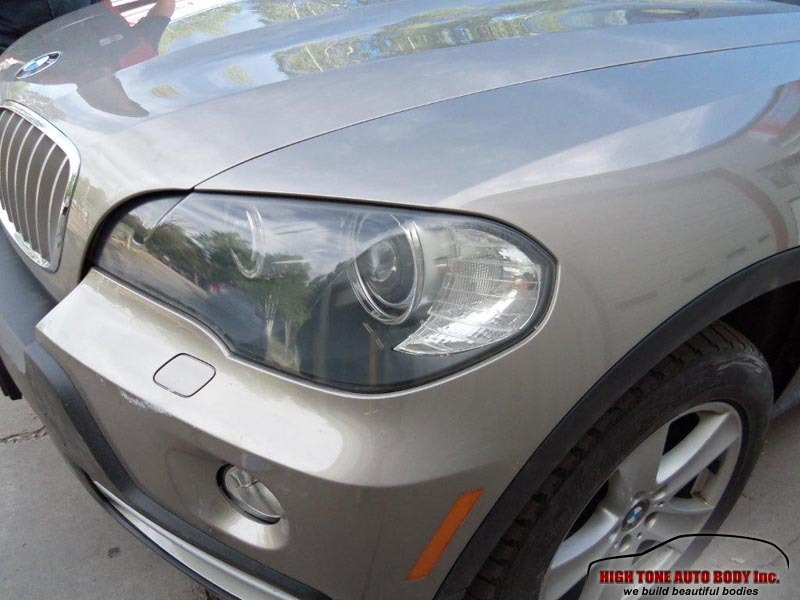 Faded headlights can be a big problem for drivers at night, and it can be quite dangerous too. Reduced visibility can pose a significant risk for night driving. 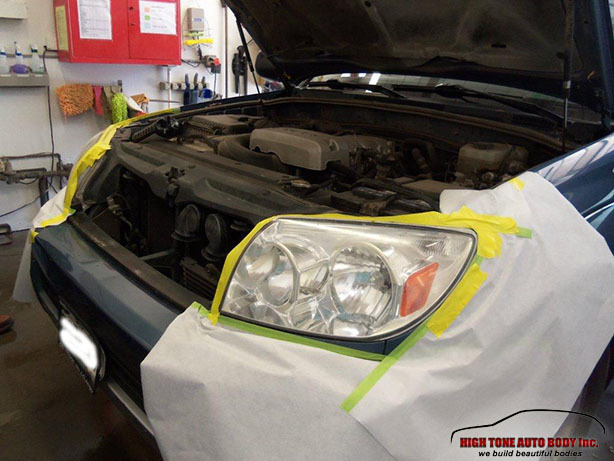 This is why auto headlamp restoration is a must for any driver that owns a car with fading headlamps. 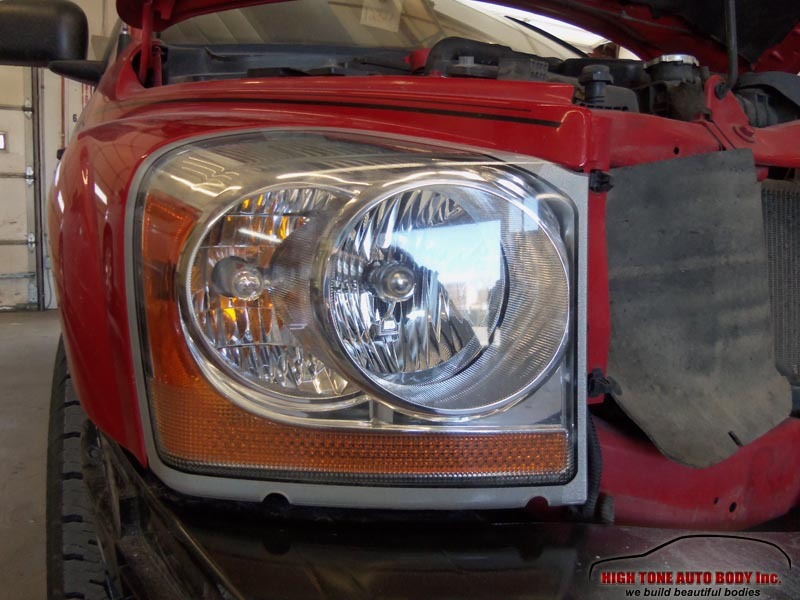 In areas of extreme weather like we have in the Aspen-Snowmass-Basalt area, with heavy snow and plenty of sand and salt on the roads, headlamp restoration is a smart thing to do. Headlamp lens (coverings) are made from poly-plastic materials. Not all plastics are the same and not all plastics have the same UV protection added to them when manufactured. But before you go on to accuse car manufacturers for replacing glass-based headlamp lenses, bear in mind that this shift was done so that vehicles would be safer for pedestrians and in collisions. 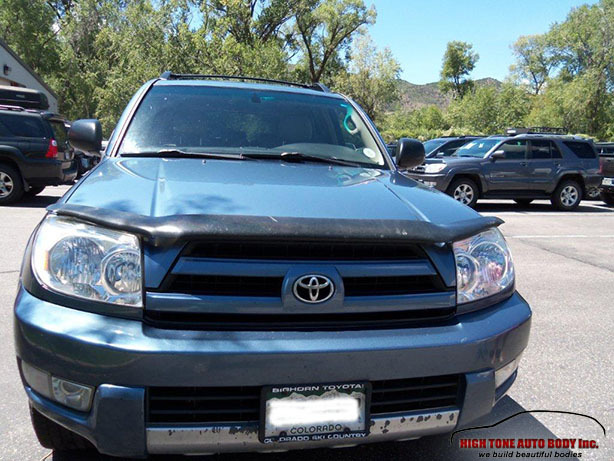 Glass fragments from headlights were responsible for numerous injuries. Moving toward plastic-based headlamp coverings is a smart move toward car safety. 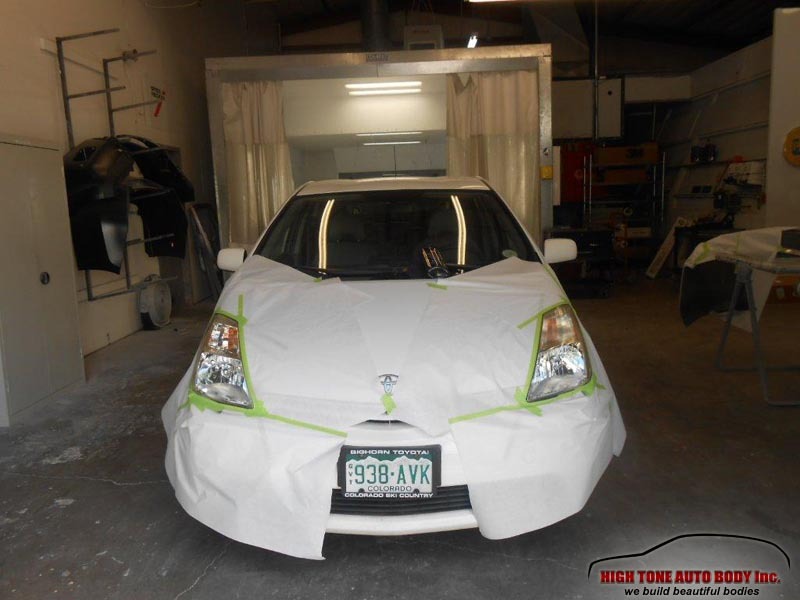 Besides plastic is lighter weight and more shapeable for our aerodynamic cars in todays market. 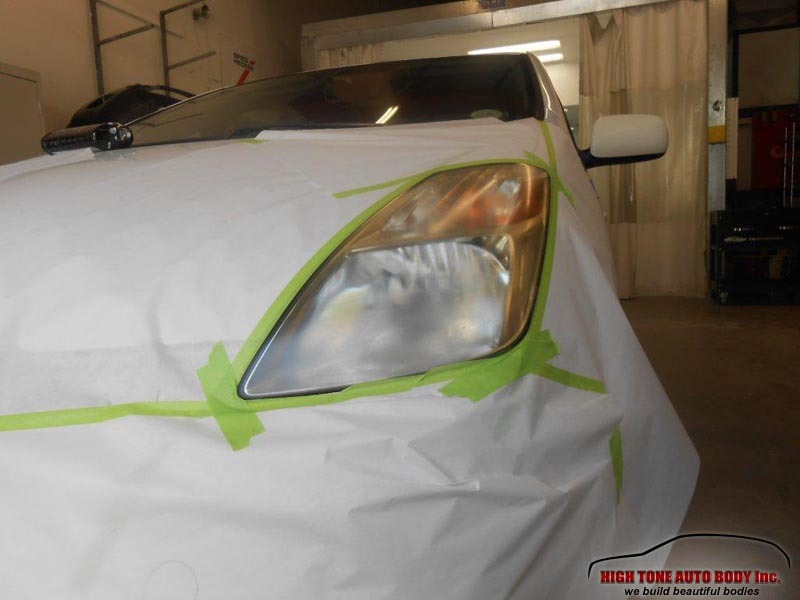 The reason headlights fade over time is because of UV radiation from the sun, oxidation and environmental factors the vehicle has been exposed to. 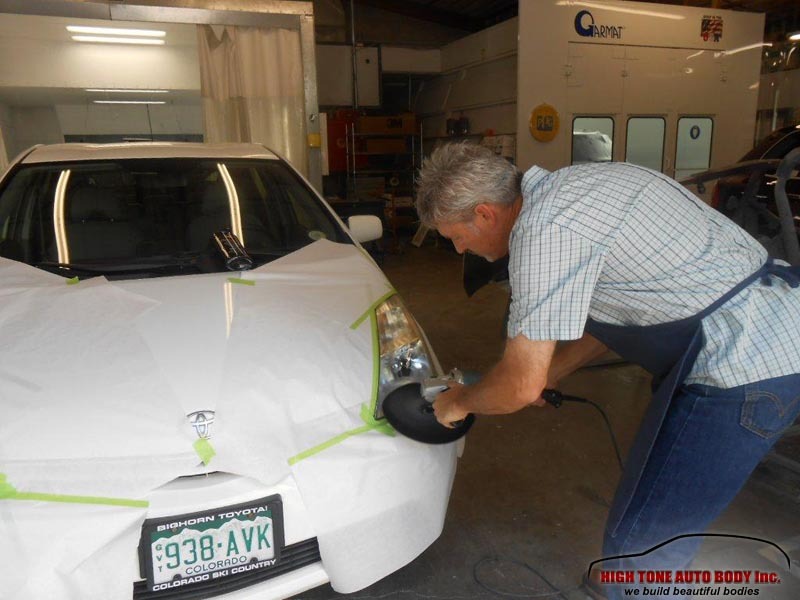 But for our area, the Aspen-Snowmass-Basalt-Carbondale valley, headlight fading has plenty to do with our greater exposure to the harmful UV rays from the sun due to our elevation. 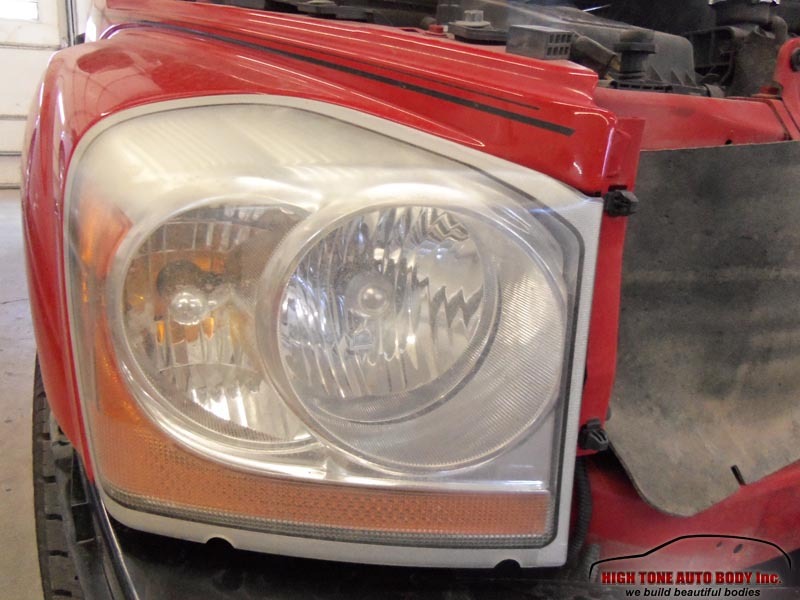 Age (the sun breaks down the original protective coating from the manufacturer), magnesium chloride (de-icer) salt, sand and rock chips all play a part in reducing the amount of light being projected through the headlamp lens cover. 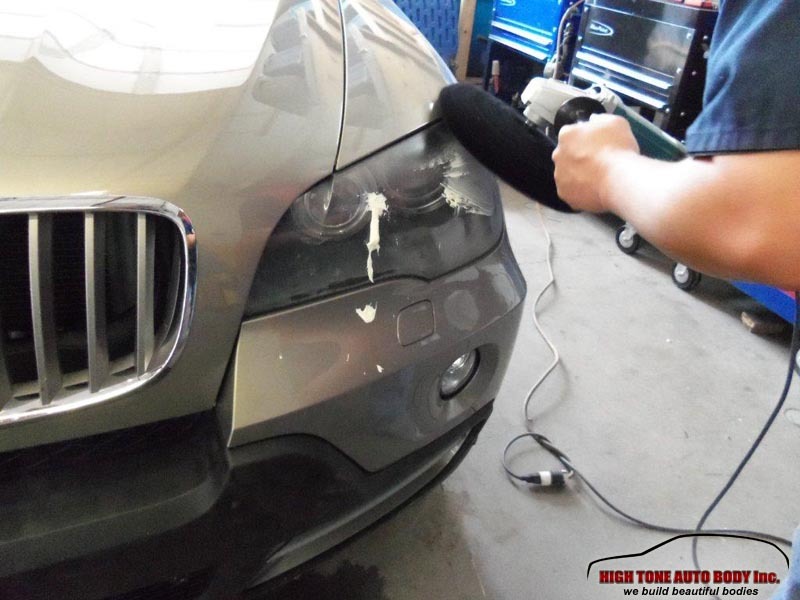 These factors can cause pitting, scratches and the plastic to turn yellow or even opaque. 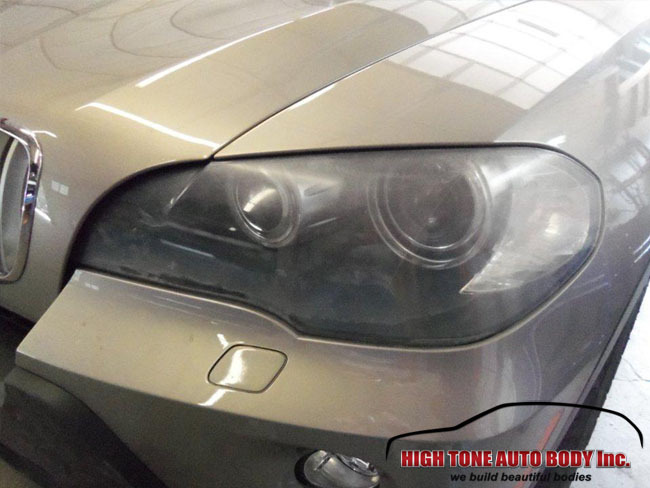 This vehicle started off with headlights that had a significant drop in luminance power. 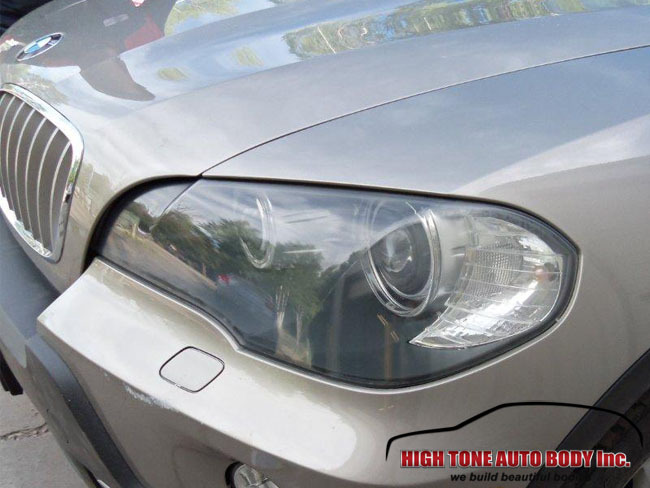 Because of the severe UV radiation and pitting effect of sand, salt and rock chips, the hazed or oxidized plastic of the headlights acted as a barrier that allowed only 60% of the light to come through and illuminate the road. With such a severe fading effect, the driver had a tough time seeing especially at night or in bad weather. 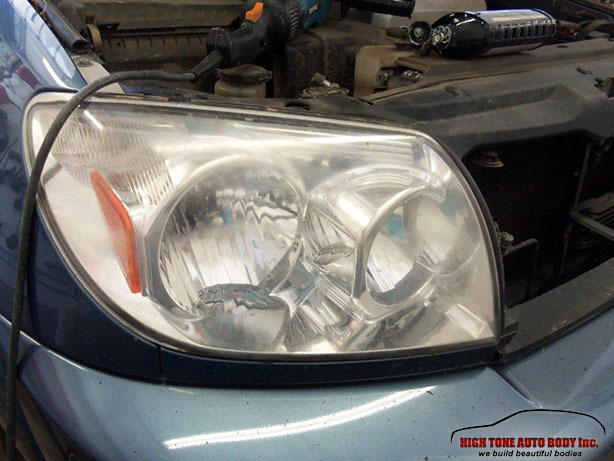 For severely oxidized headlights it can take up to a half hour for each headlamp to be restored. 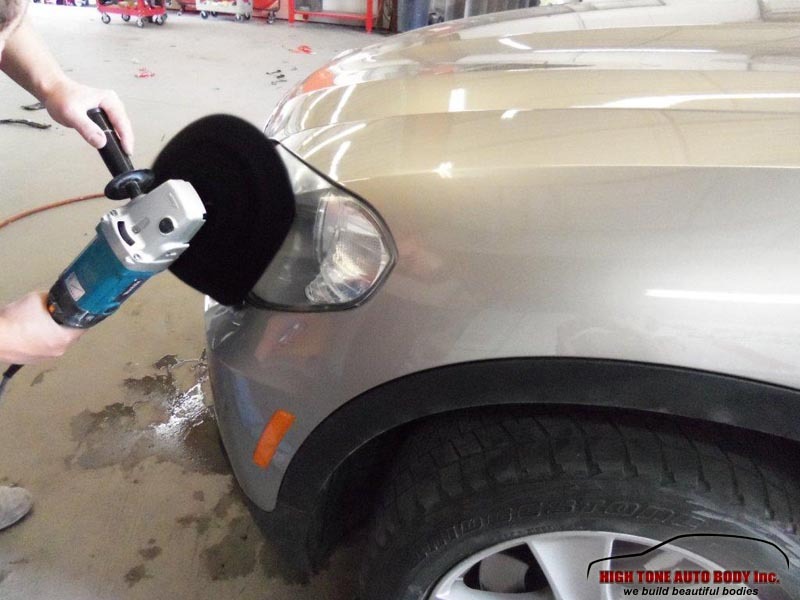 A step by step process of sanding and polishing is followed carefully to achieve a smooth, shiny and transparent restored headlamp. 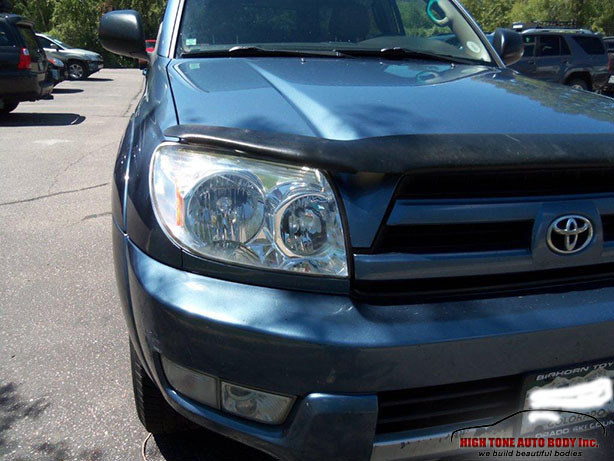 Despite the oxidized headlamp, this headlight restoration exceeded the customers expectations. 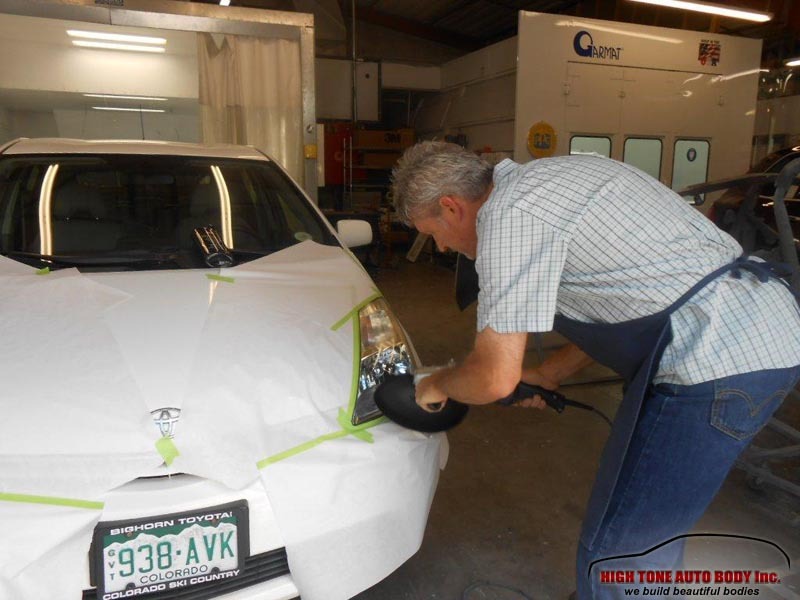 In some cases, owners wait too long before they get a headlamp polish. 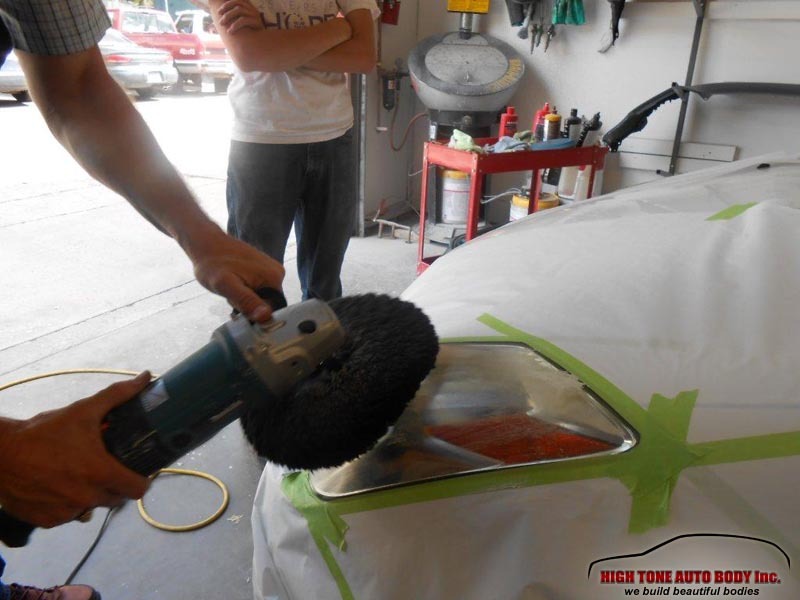 The polishing/restoration can only be used as a temporary solution but it can definitely prolong the usefulness and life of the headlamp. 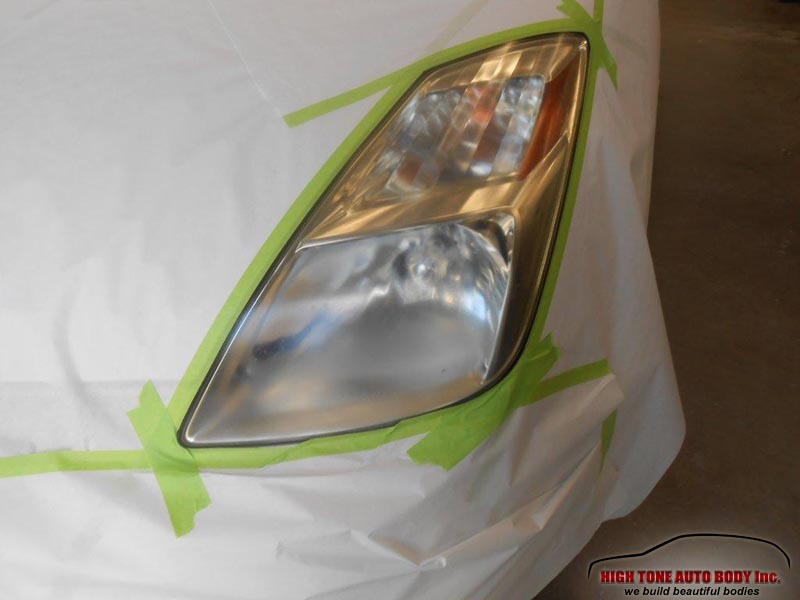 Once the plastic surface has gone too far without restoration, it will have to be replaced with a new headlamp because the UV radiation and pitting effect of sand and salt creates deep scars in the plastic surface which cannot be fixed with headlamp restoration. 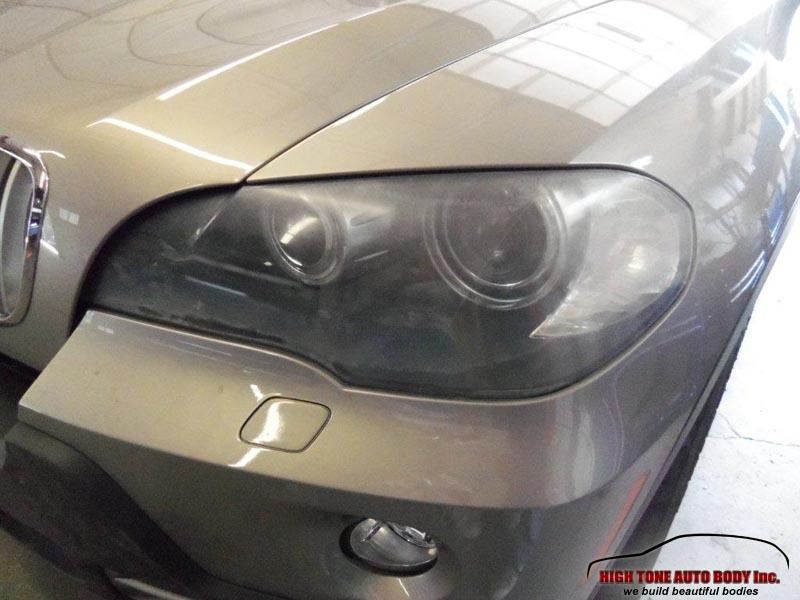 If your vehicle has faded and oxidized headlights, stop by and we will inspect them for you. 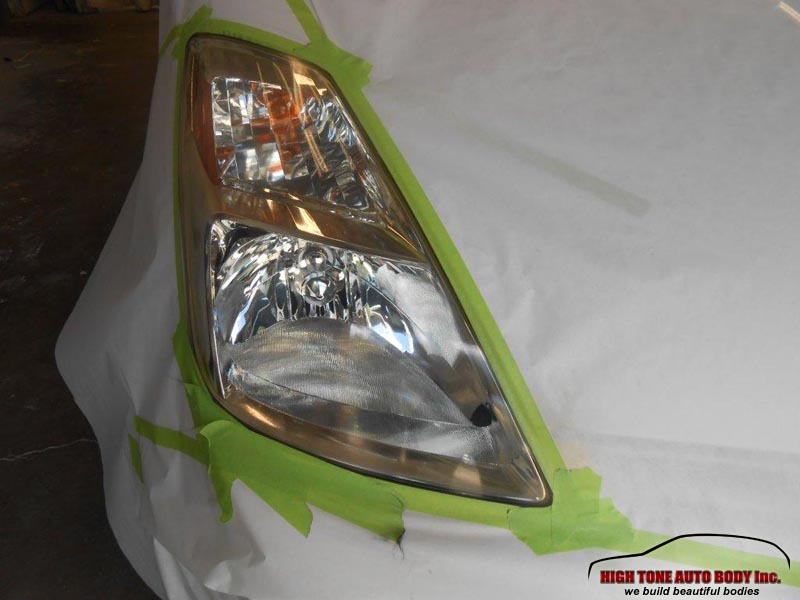 The sooner you do a headlight restoration the better your chances are of avoiding a costly headlight replacement.